Right now, there is a movement away from credit cards. Many consumers are concerned about using debt to buy things. This is where e-Checks come in. If you accept e-Checks, you provide a payment option for those who prefer not to pay with debt. This makes you more versatile, and it means that your products or services are available to more people. With an e-Check, customers can enter payment information, including bank account number and routing number, into a form. Most payment facilitators get the information in such a way as to keep the customer accounts numbers private. An electronic transaction takes place in which the customer’s bank is contacted. The money is transferred from the customer account into your account, without the need for credit cards or additional transfers. The process is normally quick and easy, and when you are properly protected, it is also secure. · No hassling with paper checks. Paper is becoming increasingly inefficient and inconvenient. If you accept paper check payment, you have to wait for the check to arrive, then you have to record it, avoid losing it and finally deposit it your account. The steps added when you accept paper checks can make the entire process more difficult that it has to be. 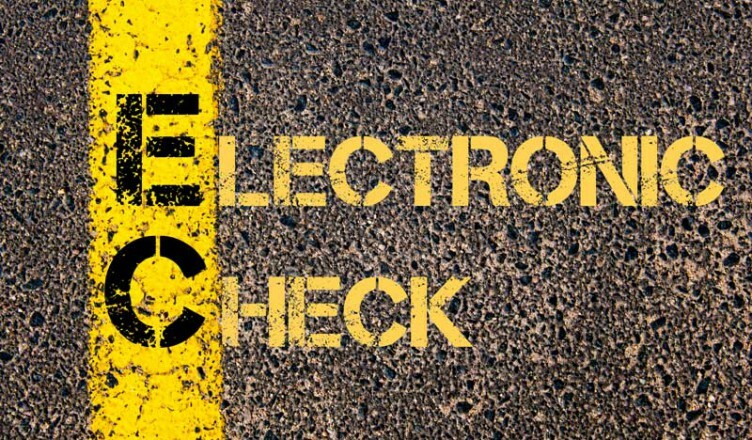 E-Checks streamline the process, and if you use the right payment facilitator, you will find that it works seamlessly with the back-end data you have inventory, bookkeeping and shipping. · Faster payment. In the online world, scams abound. You may ship an item, trusting that the customer will pay. However, the slowness of the payment method means that the customer can get away without paying, since he or she already has the item before you actually receive payment. When you accept e-Checks, you can verify payment much faster. And you do not have to worry about the chargebacks that sometimes occur with credit cards. (That is another scam: Customers pay with credit card, and when they get the item, they contact the credit card company and claim they didn’t order it.) You get payment faster, allowing you to hold the products and services until you are actually paid. · Better cash flow. You can enjoy better cash flow when you accept e-Checks. This is because when you get payment faster – without always having to wait – there is better overlap between when you get paid and when you need to make payments to your own suppliers. Accepting e-Checks can help things run more smoothly, and streamline your cash flow. Technology truly has given rise to some great and convenient payment options. You can better serve your customers, improve your own cash flow and get payment faster when you make the decision to accept e-Checks.